Beautiful, quiet location with wildlife viewing to enjoy. Hands on, friendly owners. Daily trash pickup at your site, hiking trails and access to Rainmakers and the racetrack Jockey club. WiFi was difficult to connect to. Local car rental company drop off/pick up service was convienent as we did not tow this trip. 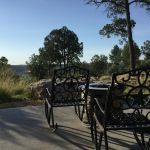 We camped at Ruidoso Motorcoach Ranch (Class A Only) in a Motorhome. New park in a mostly industrial area. 3 different levels of sites, we had a backin, concrete pad, standard site. Some shade trees. Good roads, large play area, pool, hot tub, meeting room, adequate WiFi, Private showers and large laundry, $1.75 washers, also a designated pet washer/dryer 2 large fenced pet run areas. They also have cabins to rent. Quiet at night with occasional faint train horn but that can't be avoided anywhere in Bryan. We camped at Hidden Creek RV Resort in a Motorhome. Excellent locations with sites on a hillside overlooking either a valley or the mountains. Deer & hummingbirds plus the view made being outside lovely. All amenities are top notch, owners are onsite plus a terrific general manager who make sure you are happy with your stay. They hold Social gatherings in the lovely clubhouse. Use of Rainmakers for golf or dining out is a treat. Easy distance to town and racetrack. Wifi is fast. We will return. 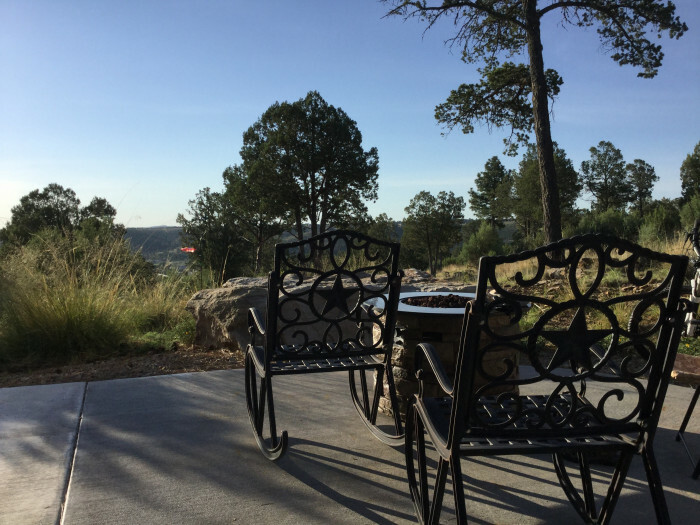 We camped at Ruidoso Motorcoach Ranch (Class A Only) in a Motorhome. Quiet! Dark! Lovely place to see the stars, relax and get a great picture of Texas History. Beautiful campground, we had a large gravel site w/full hookups, good space to walk the dogs, playground and areas for the kids, access to the river and you can rent a row boat. Great bird watching and we went to the star gazing event which was so interesting. The historic Fort has a new visitors center with reconstructed buildings, walking trail and a herd of Longhorns to get up close to. Many historic ranches, townsites, old suspension & iron truss bridges to visit within easy driving distance. The town of Albany has a wonderful old courthouse, Old Jail Art Center and great places to eat & shop. Cell service is spotty but there is free wifi at the visitor center. Can't wait to go back. We camped at Fort Griffin State Park & Historic Site in a Motorhome. Beehive Restaurant has delicious steaks and seafood. Quiet and lovely park. Road to entrance had some potholes to dodge due to rough winter but park roads were fine. Easy check-in with host guiding you to your site and helping with setup. They provided extra boards to put under jacks due to rain. We had a pond side site with table and fire ring. Friendly staff, good areas to walk the dogs, clean bath-house and laundry. We were attending the Rolex Three Day event and hostess set us up with a lady to walk the dogs while we were away. We look forward to returning. Georgetown has a nice Main Street with good local restaurants. We camped at Whispering Hills RV Park in a Motorhome. Fava's is a good place to eat. Wide pull-thru sites, but the hookups are difficult to access unless you have extra long hoses. Good Wi-Fi and very quiet at night. We camped at River Town Campground in a Motorhome. Good for overnight stop, easy in and out pull-thru sites. Noise from interstate traffic is a negative. Great dog park and playground. We camped at Camping World - Good Sam Campground of Oxford in a Motorhome. Quiet country park. Large area to walk and has fire pits and wood for campfire. Somewhat tight, gravel pull-thru, but it was doable. Has lovely views. We will return. We camped at Ivy Acres Lodge and RV Park in a Motorhome. Pros: close to downtown and felt safe, easy check-in, good Wi-Fi Cons: limited pull-thru and tight turns, gravel back-in sites available. Overhead lines could be a problem for some tall rigs. Some distant train noise. We camped at Elmore RV Park in a Motorhome. Quiet country park, lovely view out the front of coach shows green fields, cows and countryside. All gravel sites, large and with good placement of utilities. Good Wi-Fi and OTA digital TV channels. Easy access to Georgetown and Round Rock. They were kind to let us have a late departure at no charge. We will return! We camped at East View RV Ranch in a Motorhome. Easy in and out, good for an overnight. Easy check-in with a coupon for 24 hr free Tengo Wi-Fi, and rate reflects good Sam discount. Some train noise, but not late night. Some cattle fragrance, but you are in ranch country so it is to be expected. Sites were gravel, which drained well after late night showers, good pet walk area. We camped at Corral RV Park in a Motorhome. Nice park and owners. Some sites have more shade, occasional train noise, but with AC's running at night did not wake us up. Pool is small, but clean. We will return. We camped at Holiday RV Park in a Motorhome. We camp here twice a year during Furniture Market. This is a terrific place, with a beautiful view, space to walk the dogs (waste bags provided) and easy access to activities. Rate shown is approximate as we pay in advance for the entire market, even if we are only there part of the time. Not a criticism of the system, just a fact. They made a huge upgrade in the Wi-Fi, and it worked well. All other amenities worked well with exception of cable. Hope there are future plans to work on getting sites more level. We look forward to returning. We camped at Oak Hollow Family Campground in a Motorhome. We stayed here while attending Merlefest. Lovely, quiet wooded park. Big rigs (we are 41 feet + tow vehicle) should unhook before going to sites as the road to the camping area is narrow, twisting and winding. #19 pull thru was only one adequate for our size rig, but we choose a long back in site closer to showers/restrooms. Firewood available for sale at the park. We camped at Fort Hamby Park COE in a Motorhome. Older park, mostly long term and permanent residents. Easy access from I-85, even though a requested pull thru site was not available we had an adequate back-in site towards the back of the park (these sites are quieter). Sites could use some maintenance as to leveling and new gravel/asphalt. Cable & WiFi available for a fee. Good area to walk dogs. No discounts offered. This was adequate for our needs while attending a wedding in Norcross but it is not somewhere we would stay longer than a couple of nights. We camped at Jones RV Park in a Motorhome.